Juicing is popular for today whether in a mall, grocery store or any niche market, particularly those in interested in FRUIT JUICE DIET. If you are in a FRUIT JUICE DIET PLAN and you forget to bring your juicing bottle, why not try FRUITAS. For sure this will answer your cravings. 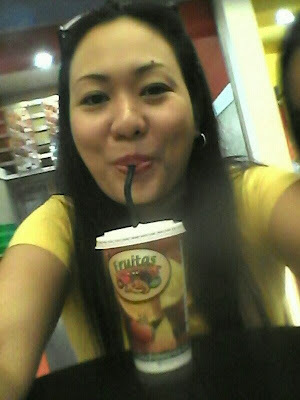 FRUITAS GROUP OF COMPANIES is one of the most popular fruit juice store in the Philippines now. 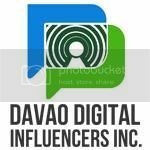 Since they opened their store last February 1, 2002 at SM MANILA they already have more than 600 profitable stores nationwide, and one of this store located on the 4th Floor of Gaisano Mall of Davao near the movie theater. A single beverage stand offering fresh fruit juices and shakes. Wherein you will be the one to pick the fresh fruit of your choice. Available that time is BANANA, ORANGE and PINEAPPLE. I pick BANANA because I need potassium for my body to help decrease my blood pressure. Love their banana juice, it delivers a smoothie texture and super tasty. But wait there's more, they have another brand called BUKO NI FRUITAS. Serving buko juice, salad and shake. 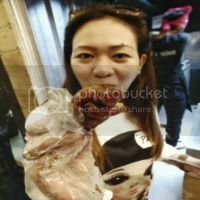 According to the person assigned, Buko ni Fruitas is a combination of Halo-Halo Island and Buko Loco (another two famous brand from Fruitas Group of Companies). It salads are served with coconut shells as containers. This really amaze me! They have a very unique way of presenting their product. 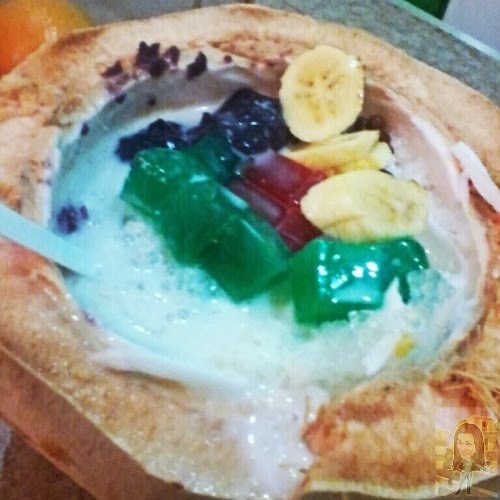 The coconut meat is shaken with other fruits added with ice cream flavors like ube and chocolates, just like a halo-halo. I ordered one, just to taste it. 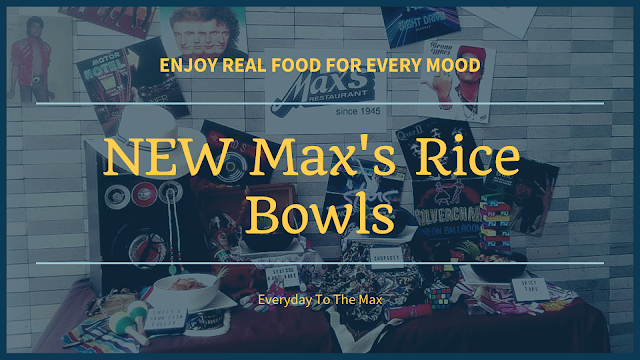 The taste is excellent! When it comes to my children's health I prefer to choose this kind of a drink/food, so natural and healthy. Healthy eating means a lot especially to us as mother. 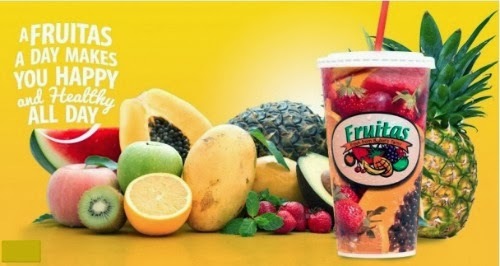 Fresh fruit drink is highly recommended, rather than in sweets or soft drinks. 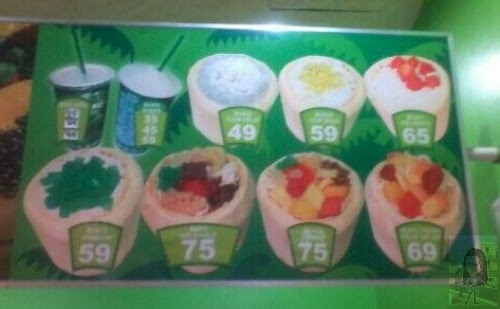 And for those who are in a fruit juice diet well you can still have their BUKO NI FRUITAS, you can choose any of their available options. 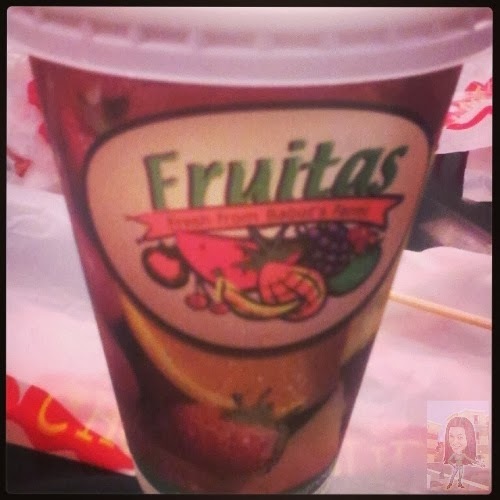 Interested in a FRUITAS FRANCHISE?